A large amount of documents is handled and distributed daily by marketing and communication teams, including catalogues, brochures, product data sheets, presentations and press releases, which is particularly time-consuming and restrictive. 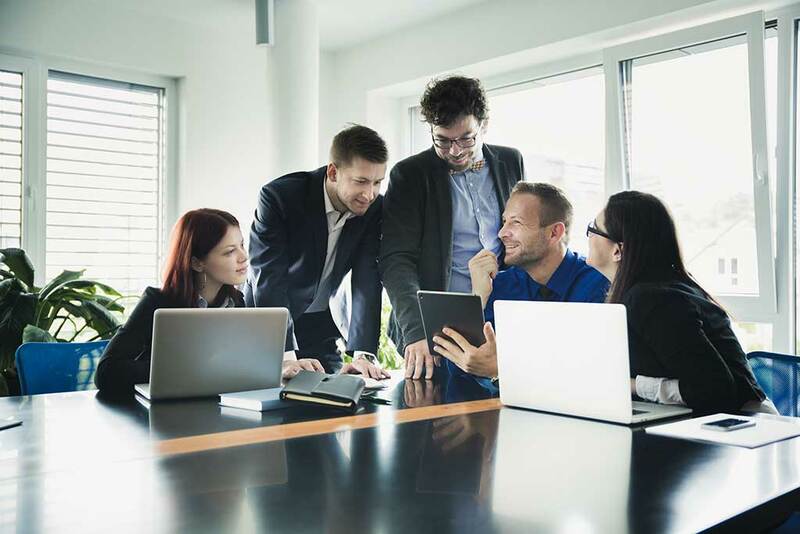 Create virtual areas devoted to individual projects and group together all relevant information, in any format needed : Word, PowerPoint, images, emails, paper documents, etc. Facilitate access to information linked to projects, whatever the geographical location of staff and external service providers involved. Make it possible for several people to work on the same document at once. Implement a document management portal and offer a single access point for company information to the various departments (catalogues, brochures, PowerPoint presentations, price lists, etc.). Notify the company’s personnel in real time when key information is added or modified ! Access all of your documents, anywhere and at any time, with the mobile application. Send large files rapidly and simply via secure links. Control the distribution of information to third parties, with pre-configured approval procedures. Create online exchange areas in order to store and share specific documents with your suppliers and customers. 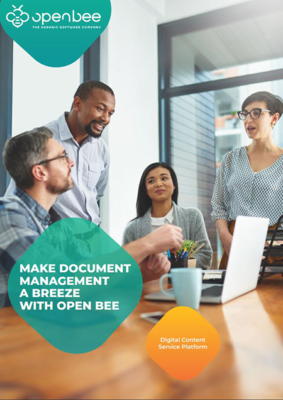 Discover how Open Bee™ solutions can facilitate the management of documents produced by your department ! At Open Bee, we welcome talented professionals and give them the opportunity to express themselves. Our culture is strongly focused on collaboration. We strive to meet the challenges together and recognize that bright ideas come from all levels of the company. Sign up and receive our latest news about our solutions and information management technologies. © Copyright OpenBee 2019. All rights reserved.